For Mother’s Day this year, I want to celebrate and pay special tribute to my older sister. Rufina and I are five years apart and at a young age, I’ve always looked up to her, and observed all her life experiences. Like most siblings, we played, we talked, and we argued and fought. It is safe to say that, during my teenage, rebellion years, I didn’t see eye to eye with her. As I grew and matured into my twenties, I had the pleasure of observing her grow from my sister to a mother. Having not yet started a family of my own, I’ve learned first-hand from her that being a mother is not easy. It requires love, care, patience, endurance, perseverance, and selflessness, all characteristics my sister has come to be an expert at since motherhood. I have so much respect for her and this Mother’s Day, I’d like to celebrate not only our mom, but especially her. To showcase the many wonderful qualities and features my sister exudes, I decided to create something fun for her this Mother’s Day. 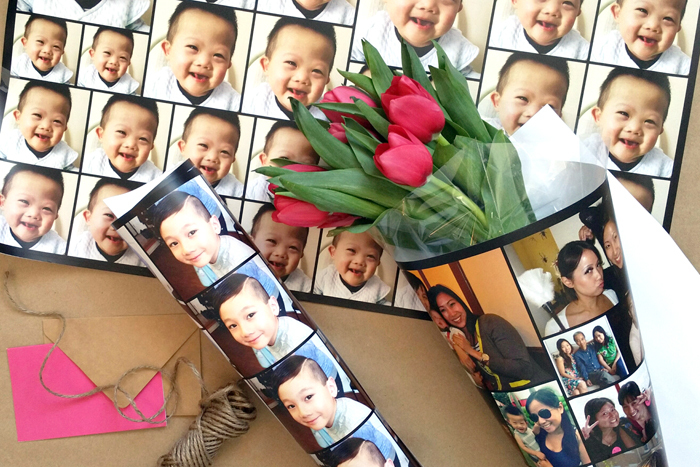 The mother is always the one behind the camera, so this year I curated a handful of photos of her and produced this DIY photo wrapping paper using the BLACKS website. 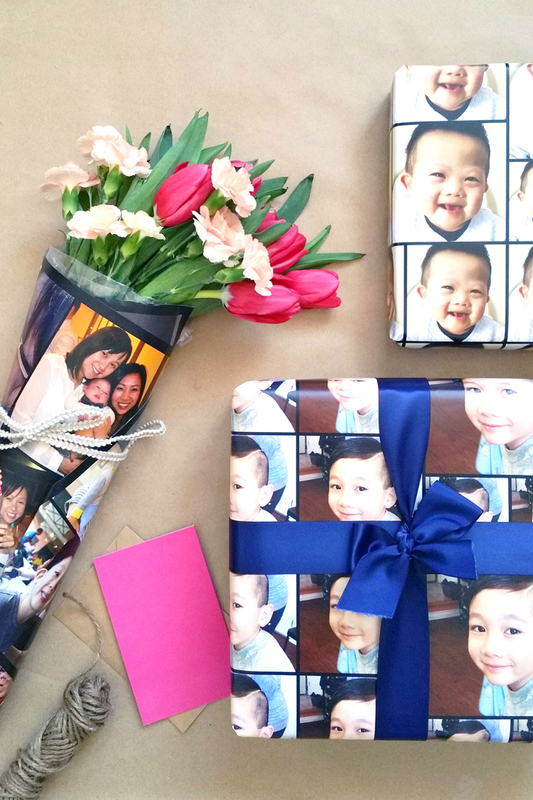 Be sure to head on over to BLACKS to read the full story and step by step tutorial on what product to use to create these awesome DIY photo gift wrapping paper just in time for Mother’s Day! I hope this DIY inspires you to do something for that special mom in your life! Thanks Miss K.! Such a nice little surprise right?